We really enjoyed our time at Las Olas Marina in Ft. Lauderdale. It has a great location, just a block from the beach. We entertained Patrick & Lawrence (friends from Saugatuck), Doug & Gregg (friends from Atlanta) as well as local friends, Daniel, Rob, Jordan, Stephane, Shawn, Greg & Mark. 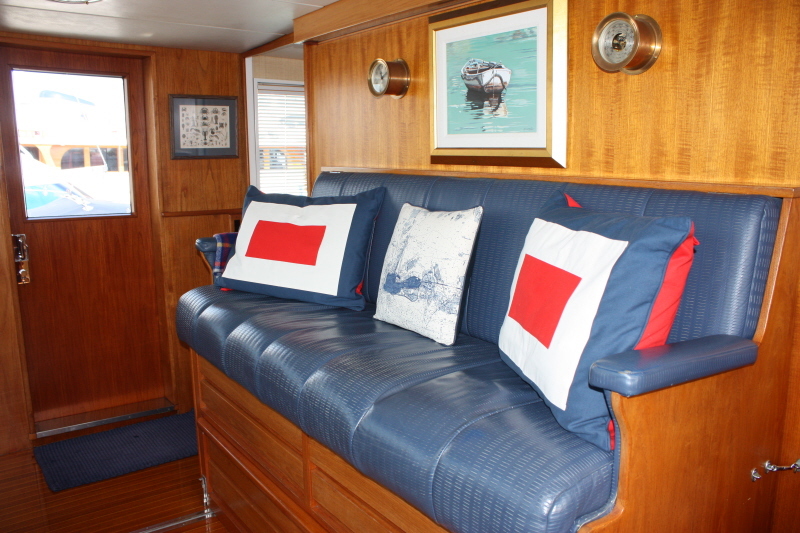 After a few days we moved on to Palm Beach where Tally-Ho spent 5 days in the Palm Beach Boat Show. While there we spent time with an old Key West friend, Jeannie McIntosh. We also drove over to the Wellington Show Grounds and attended the $500,000 Grand Prix as guest of friends, Roger & Jennifer Smith from Tryon & Wellington. 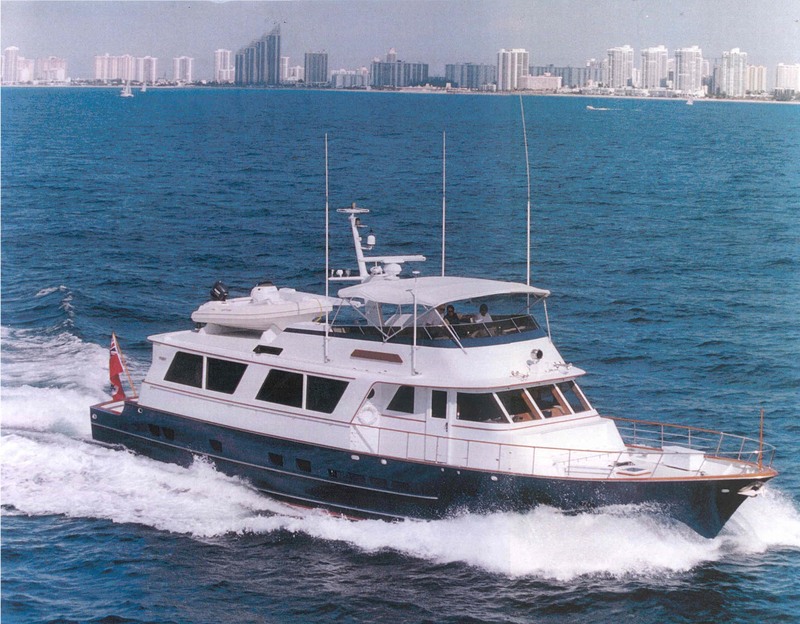 On May 29 Tally-Ho moved to Cable Marine on the New River in Ft. Lauderdale where she will remain until sold. After getting us settled in Steve & Summer moved on to another chapter in their lives. We reflect on the year that the 4 of us spent onboard. What great times we had. We wish them all the best with new endeavors. We also enjoyed a week living onboard with just the 2 of us & Dugan & Dylan. The privacy was great. 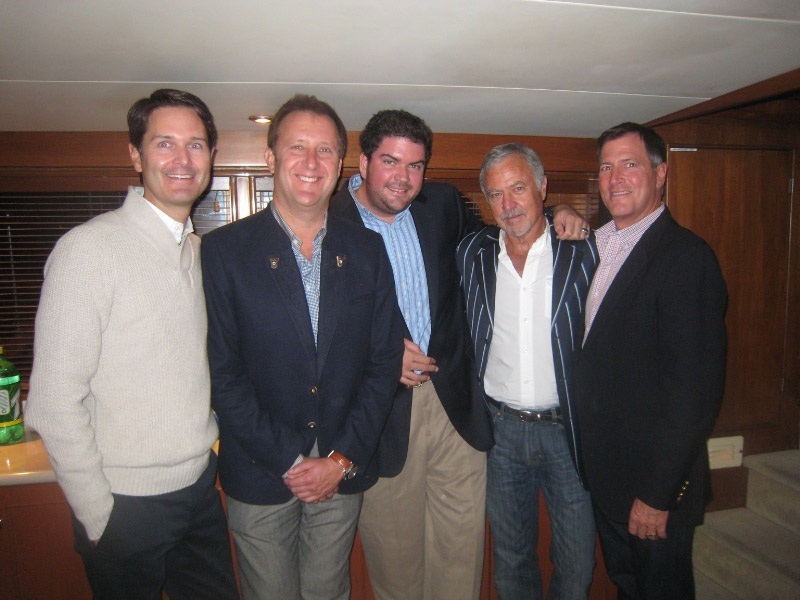 During that time we attended polo matches in Wellington, the Florida Derby at Gulfstream Park, a rodeo in Ft. Lauderdale as well as dinners onboard and off with friends and on our own. It felt kind of good to start looking after ourselves again. 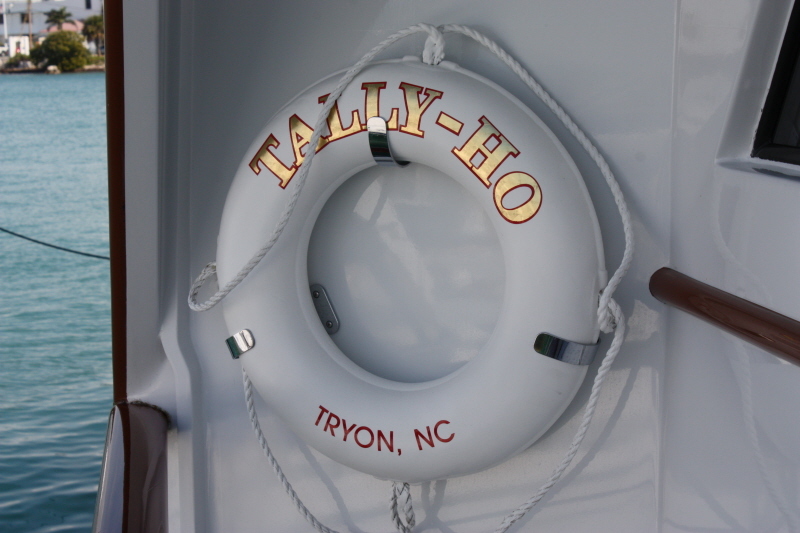 While there we hired Captain Bill to look in on Tally-Ho daily and keep her ready to show to prospective buyers. On April 11 we moved off and drove to Savannah and on to Tryon the next day. What a year & a half we had! One of the most memorable & enjoyable periods in our lives. Wouldn’t have missed it for the world. 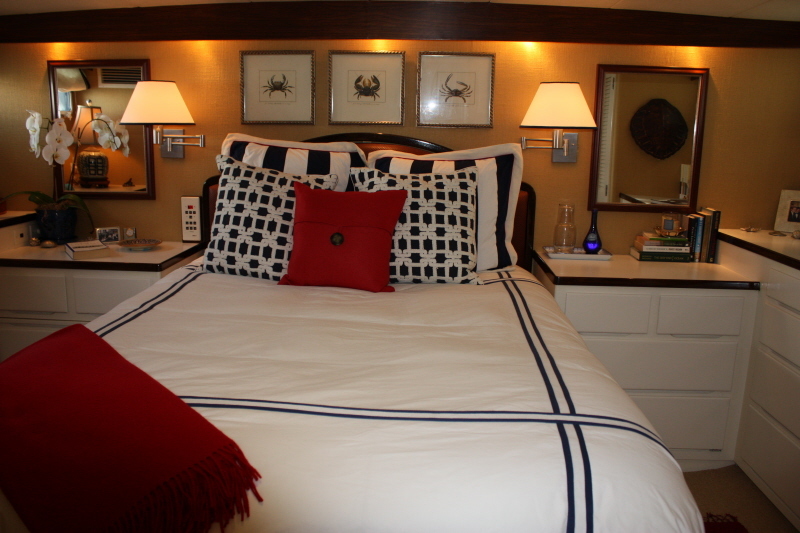 After leaving the Ocean Reef Club we spent a wonderful month rediscovering Miami’s South Beach. 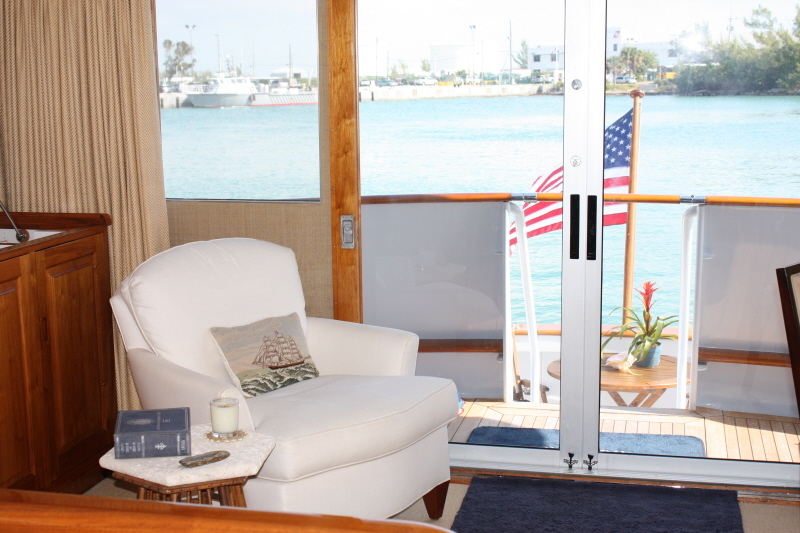 We docked at Sunset Harbour Yacht Club, just a 5 minute walk to the beginning of Lincoln Road. 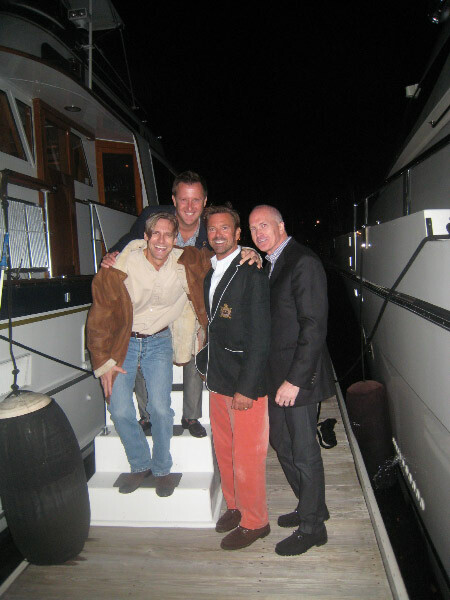 We thoroughly enjoyed a visit from our good friends Peter & Gussy who joined us for the Miami Boat Show. We were fortunate to have our friends Jeff, with Sea Loafers III, and Stephane & Shawn, with WOLO (we only live once), docked near us. 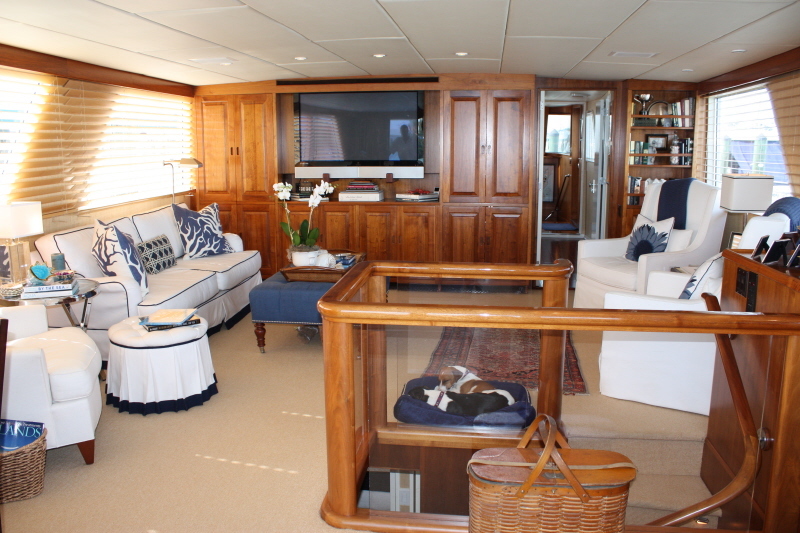 We had lots of wonderful venues aboard all 3 yachts. It was very special. 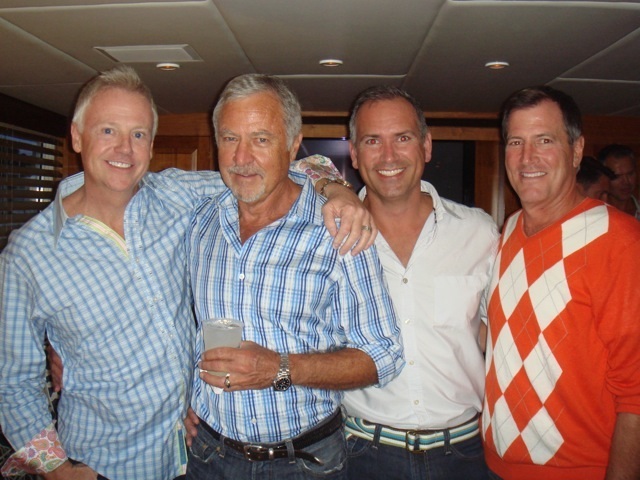 Our Canadian friends, Rick & John with their friends Don & Karen, came down for the boat show & joined us for a fun party on Jeff’s boat. Jeff also included our friends, Jonathan, Adam, Natalie & Daniel, along with our crew, Steve & Summer. Too much fun! We also spent a special day with Daniel who hosted us at the PGA tournament at the Doral Country Club ( Blue Monster) , sponsored by Cadillac. We were 10′ away from Tiger Woods! 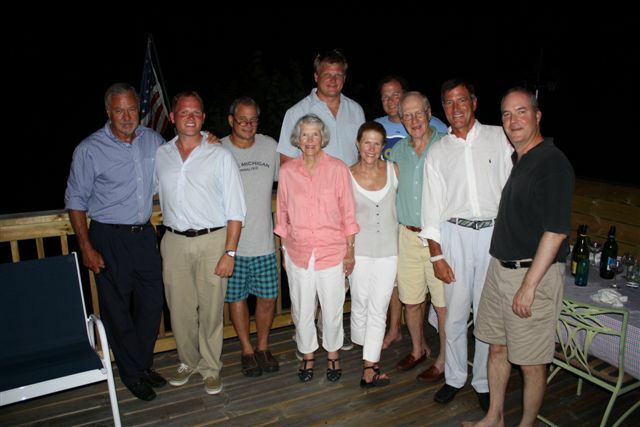 We enjoyed a week on land with a trip to Tryon, during which we celebrated Trip’s birthday (at friends John and Cindy’s) and went to the Tryon Hounds annual Hunt Ball with a group of our Foxhunting friends. Wonderful evenings on Lincoln Road and sunny afternoons on Miami Beach capped off a great time and a new appreciation for South Beach! 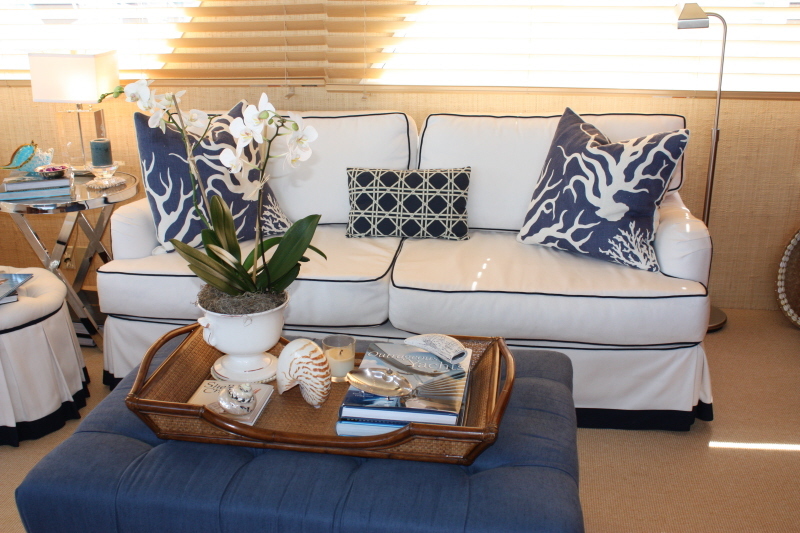 Ocean Reef Club off Key Largo was the setting for the rendezvous. 20 Burgers of a variety of sizes attended from all over the US. 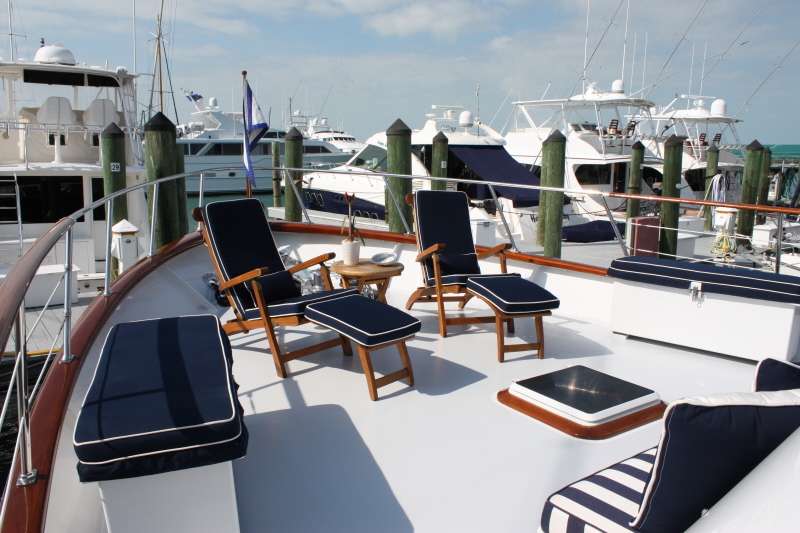 It was a great time to meet fellow boaters who are proud to own what many feel is “the Rolls Royce of yachts”. 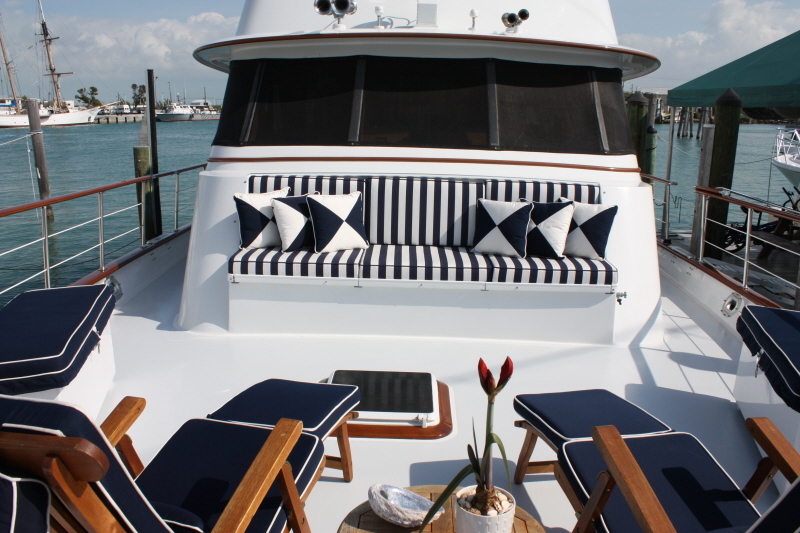 The weekend was kicked off with a cocktail party aboard the owner of the Burger Company’s private mega-yacht, Ingot. Seminars were held during the day & each evening was a dinner party for all the attendees. 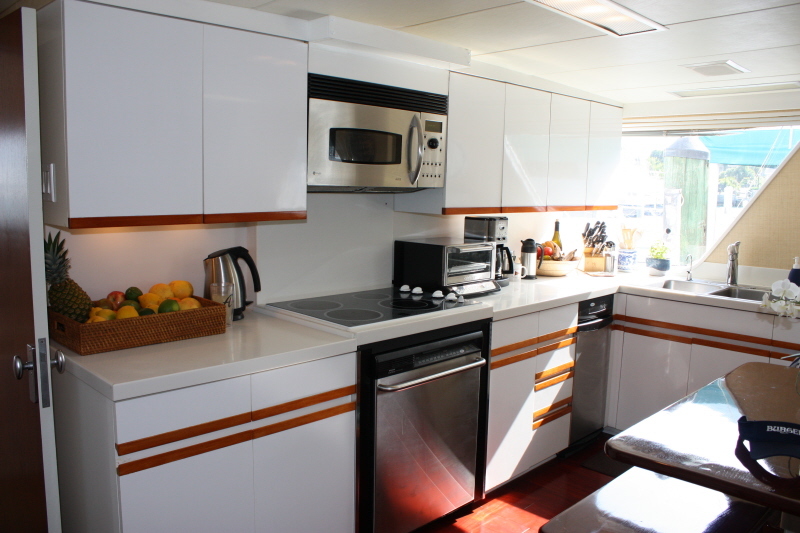 The final night capped off the weekend with the “yacht hop”, a chance to tour most of the yachts. 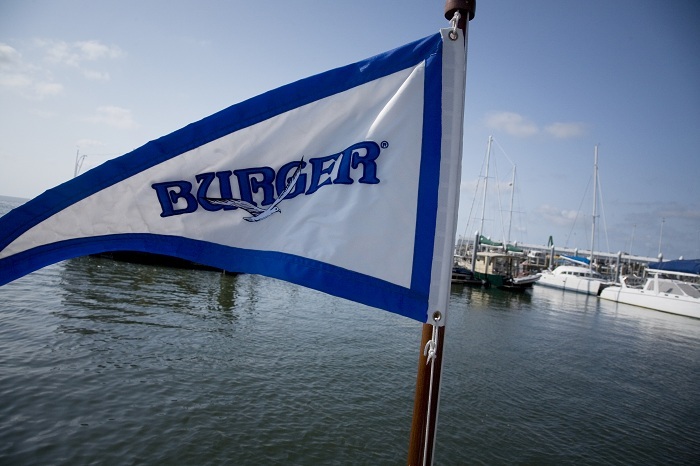 Burger no longer builds 81′ yachts such as Tally-Ho. Now they are all over 100′ so, once again, we were one of the smaller boats in the harbor. It was an eye opening & informative weekend. 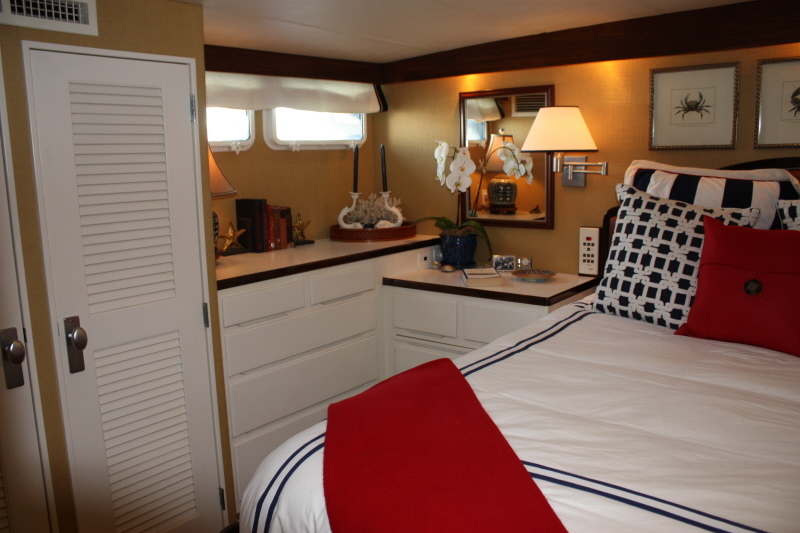 After leaving Spanish Wells we spent 2 dreamy nights anchored offshore. The first was off Current Island, Eleuthera & the 2nd was off Rose Island, close to Nassau. The tender had to come down to be able to enjoy the deserted beaches and, of course, allow Dugan & Dylan the opportunity to relieve themselves. Long walks on the beaches, beautiful sunsets & dinners on the flybridge made for a great time after the hustle & bustle of Harbour Island. We pulled into the Atlantis Resort on Paradise Island in Nassau & soon were joined by Trip’s sister Beth & her husband Jim who spent the long weekend with us. Atlantis is an amazing resort. It has a location other than this one & that is in Dubai. The marina, casino, water park, etc. are truly incredible. Next door is the “One & Only Ocean Club”, owned by Atlantis & previously a private estate. 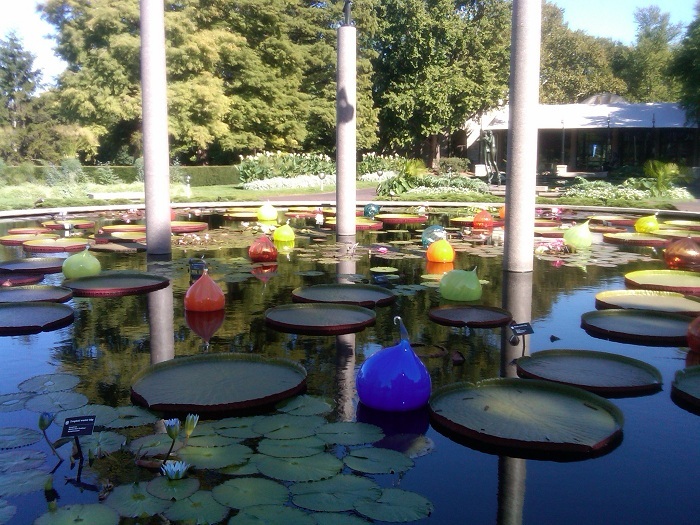 We toured the magnificent gardens & had dinner one night in their 5 star restaurant, sitting right on the ocean. 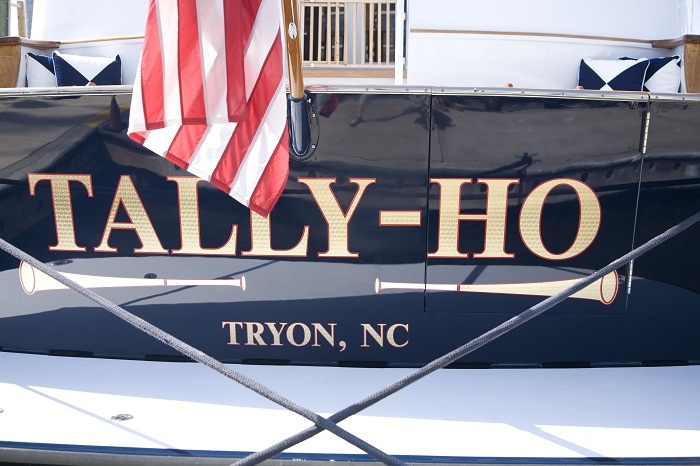 Tally-Ho, which often had been the biggest yacht in the harbor, certainly didn’t have that claim to fame here. In fact, quite the opposite as mega-yachts crowd the marina. Probably the best photo op in the entire complex is the Casino’s king chair which people line up to sit in. After the craziness of the complex we enjoyed a great day anchored off Rose Island with snorkeling, sunning, beach walks, etc. Back onboard the next day we had a nice bon voyage brunch for Beth & Jim & we & our crew said goodbye. Next it was on to Chubb Cay again & Bimini as we made our way west back to the USA. Bimini is certainly not a tourist destination unless fishing is a priority. At least it gets you 50 miles from Florida. Arriving in Key West after 11 months was the end of our Great Loop Journey. It was an amazing part of our lives. Great memories of people, places, sights & adventures. We will never forget it. We now plan to be in Key West for a month & then on to the Bahamas & South Florida for a few months. Then we will see where the water takes us. 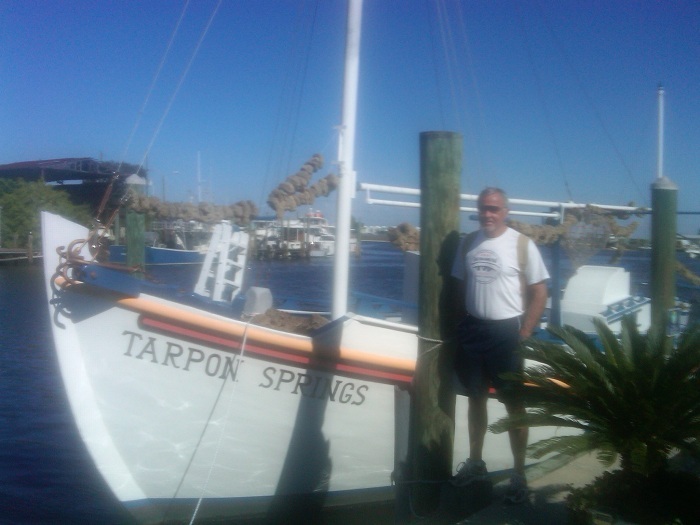 We always enjoy time in Tarpon Springs. 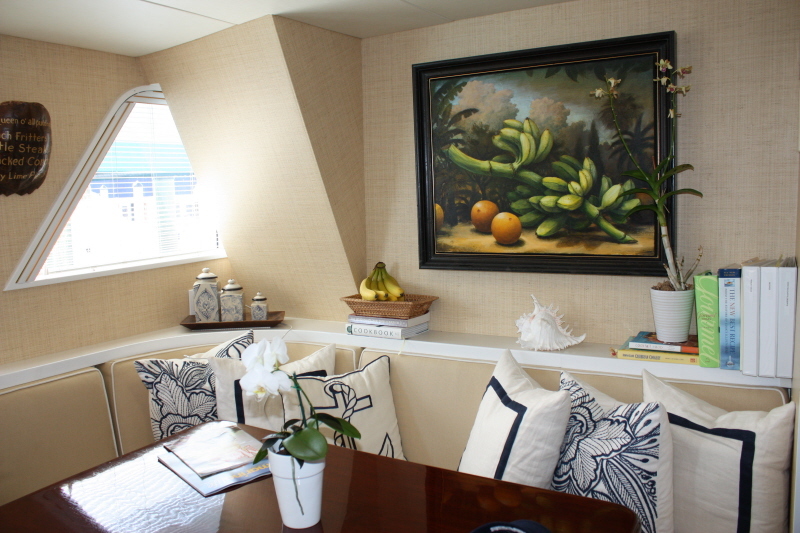 It’s “Old Florida” with a Greek influence. Actually the spongeing industry moved from Key West to Tarpon Springs many years ago & brought in the influence. 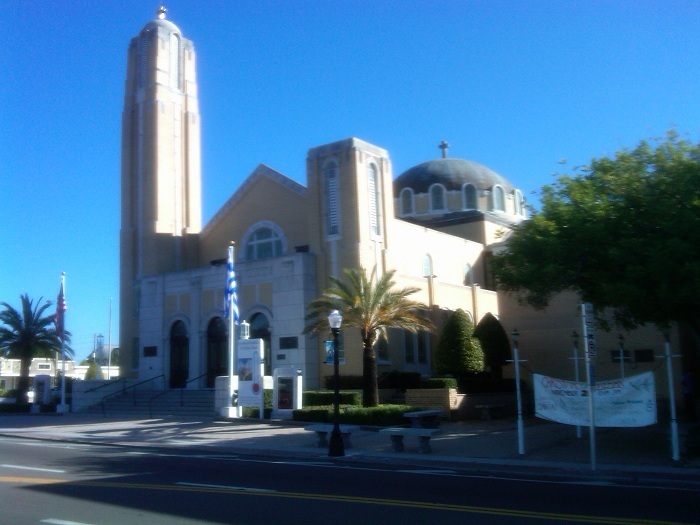 There are some great Greek churches & restaurants with an interesting waterfront. 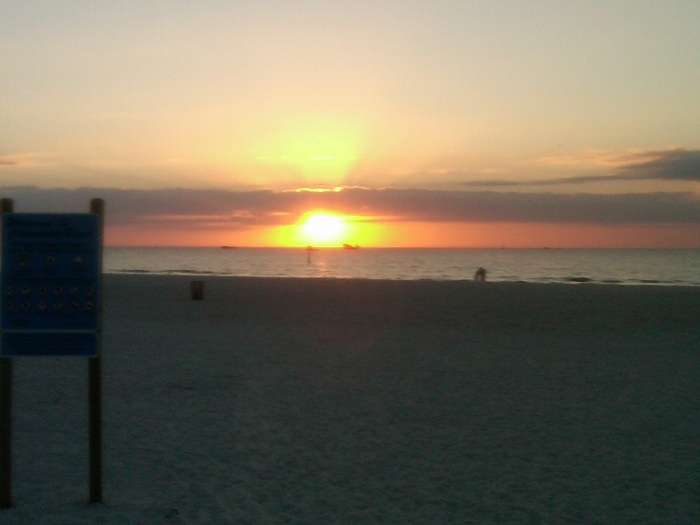 From there we moved on to Clearwater with it’s beautiful beach & sunsets. 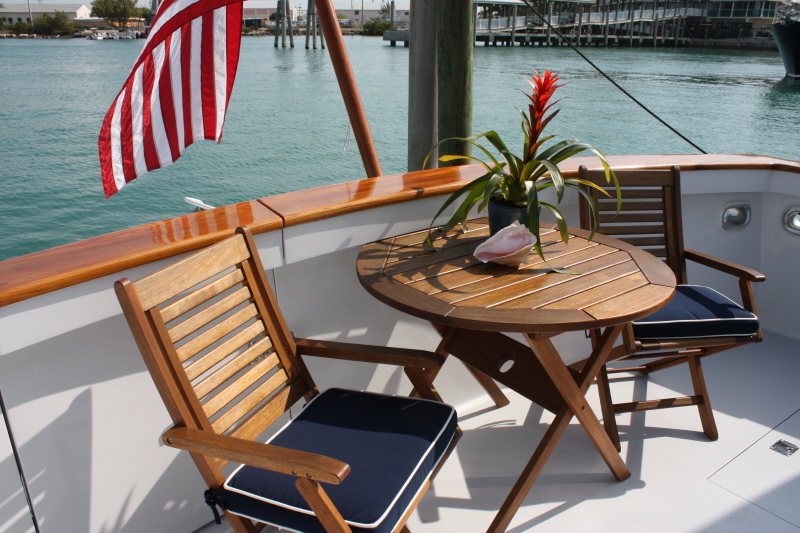 The next day we passed Tampa Bay, entered Sarasota Bay & docked at Longboat Key Marina. 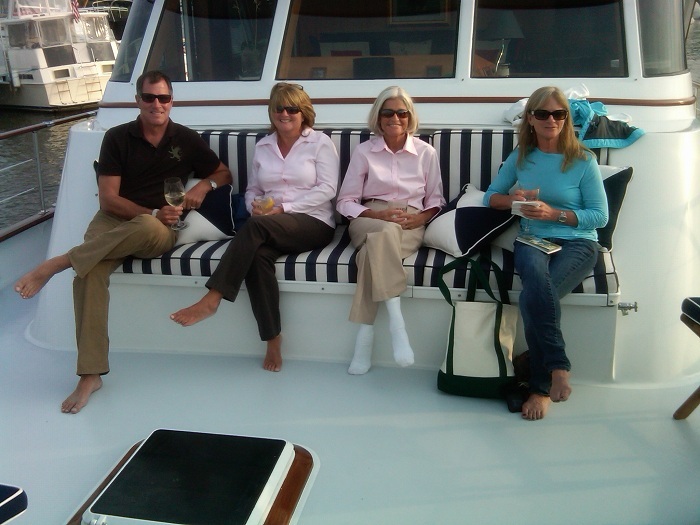 Our friends from Tryon, Frank & Ann, graciously gave us the use of their slip for 10 days while we flew to Annapolis, MD to join Trip’s family for Thanksgiving. 22 people for dinner is quite an effort but his sister Kate & her husband Jamie made it seem effortless. While in Longboat we explored Sarasota & St. Armand’s. Great shops & restaurants. We continued down the Gulf Coast ICW passing one of the last turning bridges in existence. Our first stop was Boca Grande on Gasparilla Island, a beautiful island town with streets going under a canopy of banyan trees. Then it was on to a weekend in Punta Gorda where we were docked in a position to have front row center seats for their annual Lighted Christmas Boat Parade. Punta Gorda was devistated by a hurricane several years ago & is finishing up rebuilding so almost everything is new. Historic markers only make mention of a historic building that “used to be” in this location. Fisherman’s Village still resembles “old Gulf Coast Florida”. After that it was on to Cabbage Key, one of the most fascinating stops on our entire trip. 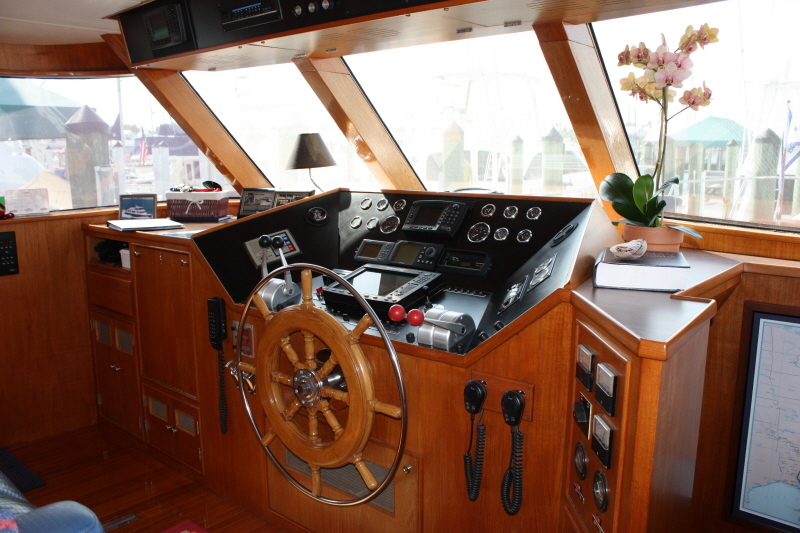 It is only accessible by boat & has 3 private homes & a marina with a great old club. The restaurant/bar walls & ceiling are covered with 50,000 autographed dollar bills, inlcuding one signed by JFK, Jr. Then it was on to Fort Myers where we docked right next to many old shrimp boats. Alan’s neice, Chris, who lives in Naples, drove over & took us for a tour of Sanibel & Captiva. While leaving the boat there we flew to New York City for a long weekend to enjoy the Christmas store windows, Rockefeller Center, great restaurants, shopping, theatre, etc. We spent the weekend with our friends, Stephen & Jonathan, from Key West and Trip’s Brother Rick. Once back on board we picked a good day to do the crossing to Key West. We left at sunrise and cruised in rough seas reaching Key West late afternoon. Cruise ships in the harbor are the first thing you can spot when approaching. Arriving in Key West was the finish of our 11 month, 6,000 mile, 66 Locks, 108 Ports of Call and Anchorages “Great Loop Adventure”. WE DID IT! It was a sureal adventure and the trip of a lifetime! The memories will last forever, especially all of the Great Friends and Family we saw along our 6,000 mile voyage!!! We left Mobile, Alabama behind & spent the first 3 hours just crossing Mobile Bay, a big shallow body of water. Heading east on the Gulf ICW we crossed back into Florida, a state we had left 7 months ago. The “Redneck Riviera” turned out to be very enjoyable, especially by water, which we’ve learned can create an entire new picture. We had heard of some of the most beautiful beaches in America, but we also discovered some very interesting history & great fishing villages. Pensacola seems like a town with all the infrastructure in place, ready for the next economic boom & hoping it will be sooner rather than later… Settlement there first occured before even Jamestown & St. Augustine were established. Continuing through the “Grand Canyon” part of the ICW we ran into our dolphin friends again. Dugan & Dylan were captivated on the edge of the fly bridge watching as many as 6 of them put on an amazing show… After a night in Fort Walton Beach we cruised on to Panama City where we were fortunate to dock right downtown. Fun town with good energy & very few empty shops, something we had not seen very often. Downtown had parks & fountains & great places to walk the pups. We saw one of the most beautiful sunsets of the trip right at the marina! After more dolphin shows along the way we arrived in Apalachicola, in the middle of what they refer to as Florida’s “Forgotten Coast”. Seems like a title the locals like. 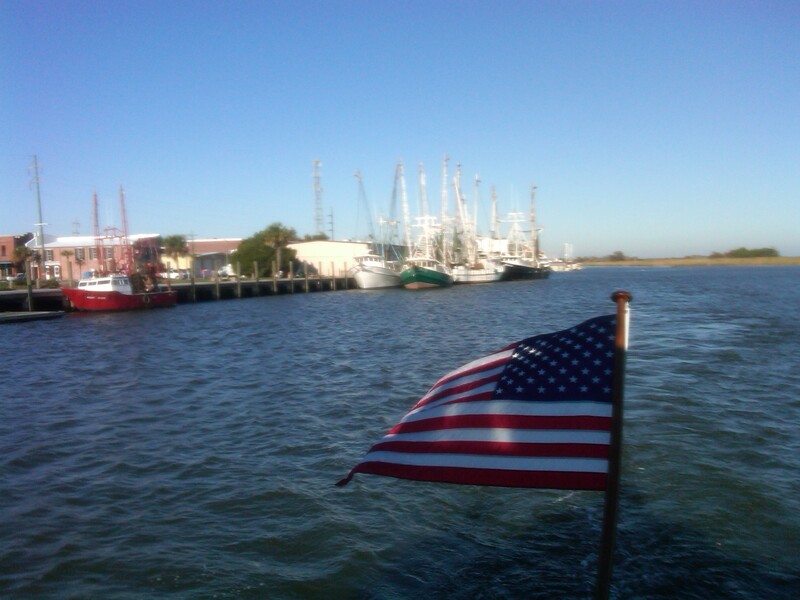 We docked along the waterfront right in the middle of all the shrimp and oyster boats. We liked it so much that we spent an extra night here. Reminded us of Key West 25 years ago. 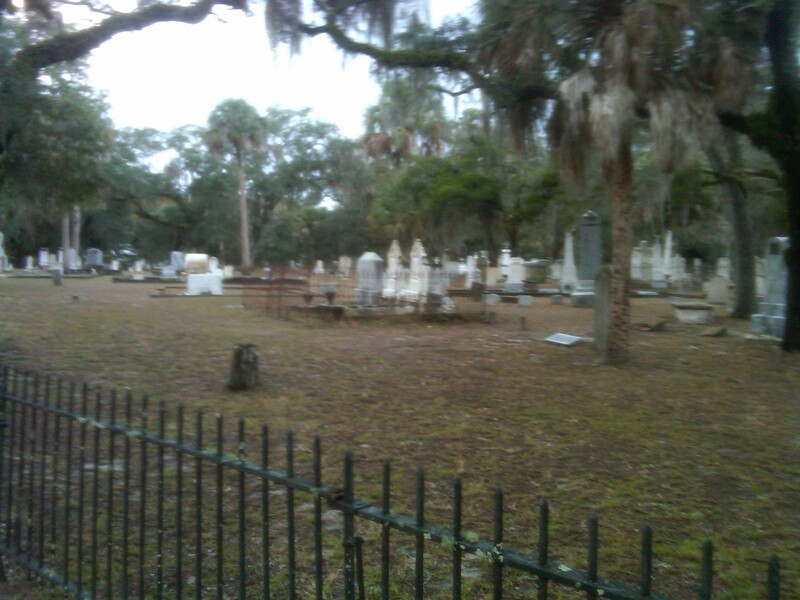 It’s a great fishing village with lots of historic homes, one of the most attractive cemeteries we had ever seen &, of course, world famous Apalachicola Bay oysters. I think we had oysters for every meal except one. 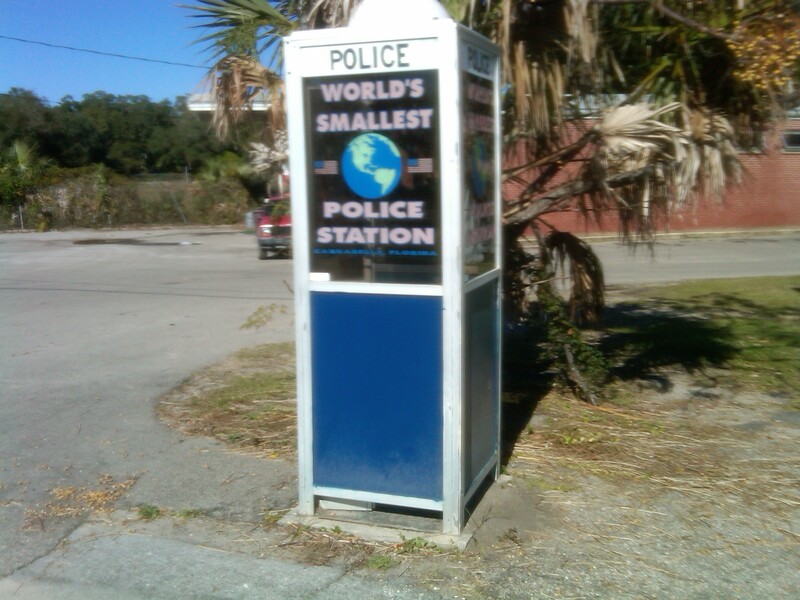 We then left for Carrabelle, noted for having the world’s smallest police station. 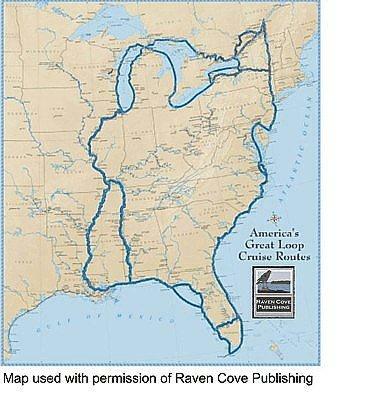 It is also the jumping off point for boats leaving the Panhandle & on to the Gulf Coast of Florida. Next stop, across the Gulf to Tarpon Springs. Our first stop was Pickensville, AL where we borrowed the courtesy car at the marina to check out the energy in Carrollton & Aliceville as well. Not so much! We did enjoy the visitor’s center for the Tombigbee Waterway. The following day we passed amazing white granite cliffs lining the side of the waterway & that night we anchored out & enjoyed the solitude of a beautiful cove near Demopolis, AL. The next night we stayed at Bobbie’s Fish Camp, a perfect example of a river fishing camp in southern Alabama. We had dinner at the “lodge” & enjoyed their specialty-fried catfish & hush puppies! The next day we cruised on to Mobile & experienced our final lock for the Great Loop which also had a spectacular spillway. 60 locks in all! Whew!! Cruising under the “Dolly Parton Bridge” was a treat. We had our longest run of the trip (12 hours), arrived after dark & stayed on the south side of the city in the beautiful Dog River. Mobile proved to be a pleasant surprise. Very cool downtown, a mini version of New Orleans. It’s Mardi Gras celebration predates New Orleans by over 100 years. 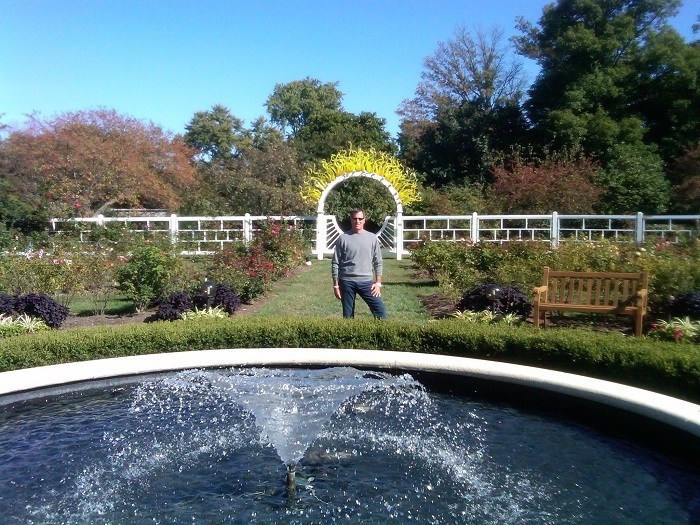 We spent a half day at Bellingrath Gardens, a must see for anyone visiting Mobile. 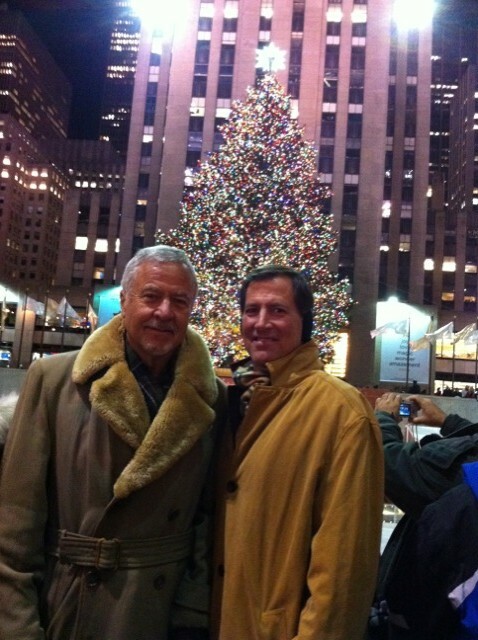 We had lunch downtown one day & met 2 great guys, Criss & David, who later had a tour of Tally-Ho & dinner with us. We left Charlevoix & cruised on a smooth Lake Michigan for the 4 hour trip to Leland & historic old Fishtown. We stayed in the township marina for 2 nights. Fishtown is a wonderfully preserved original old fishing village. It almost fell prey to a wrecking ball & developers but was saved thanks to some very generous people. 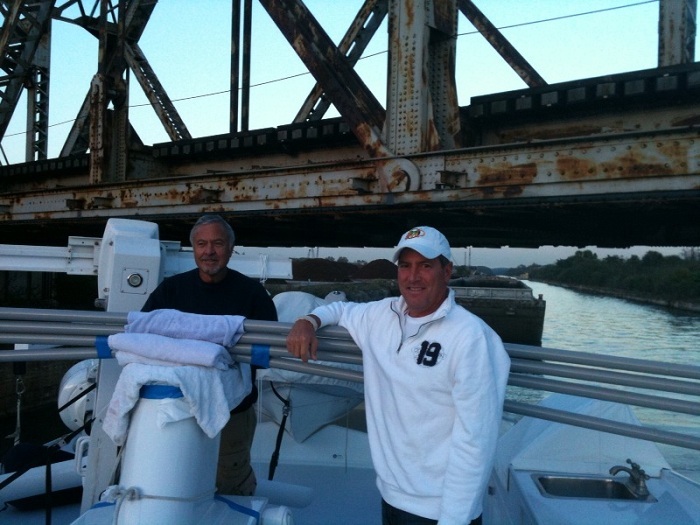 The 2nd day our friends Jon & Mark came to join us for dinner on board & to be with us for the final leg of our journey. The next day we cruised past Sleeping Bear Dunes, the 2nd largest sand dunes in the world to Ludington. We docked right downtown & had our Key West friends Carole & Jerry with their daughter Taylor & a friend of theirs on board for cocktails & then went to their Lake Michigan cottage for dinner. The next day we cruised in rough seas to Whitehall & the White Lake Yacht Club, a great club largely unchanged in 50 years. We had our Tryon friends David & Izzy with a large part of their family for cocktails & then went to their 1920’s cottage boasting views of both Lake Michigan & White Lake. We had a fun dinner & enjoyed their wonderful family. 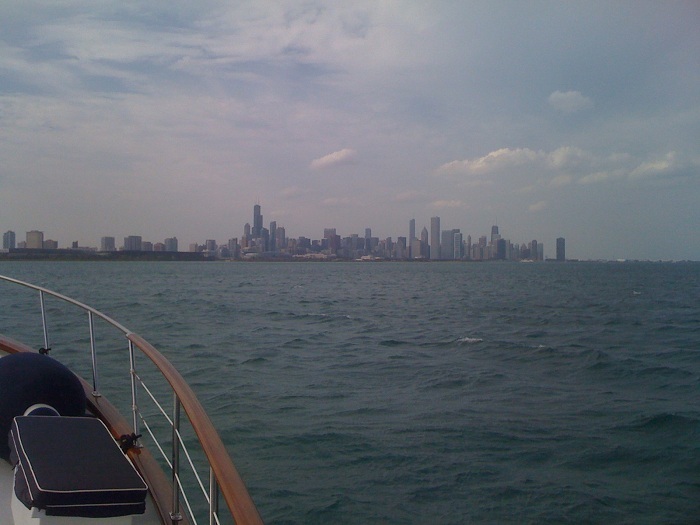 We left the White Lake Yacht Club, through the channel with a great lighthouse & again cruised into an angry Lake Michigan. The 2 roughest days of our entre trip so far proved to be on Lake Michigan. 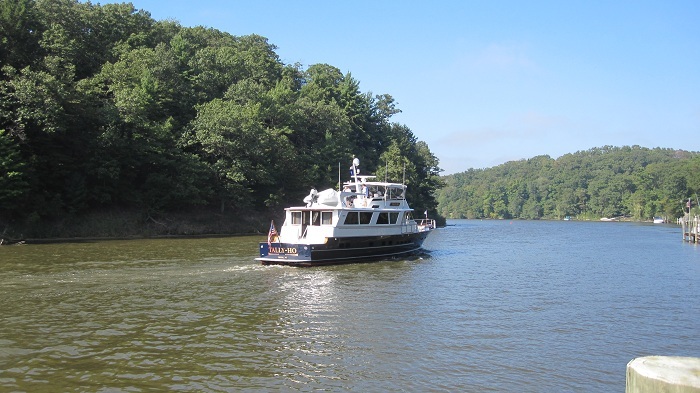 We cruised into familiar waters past Saugatuck dunes & beach & safely docked downtown at Tower Marine overlooking the historic ship, The Keewatin, for the rest of the summer. The 6 of us had a champagne toast as we idled down the Kalamazoo River. We found our cottage with the Casa Blanca lilies in full bloom & the gardens a welcome site. It will be nice to have land legs for a couple months & enjoy Tally-Ho with our friends.